With the media launch of the 2013 Mustang this last week Ford has released a new video detailing how the new Track Apps work with the car. Jeff Seaman, the Mustang’s lead powertrain engineer, shows demonstrates how the 2013 Mustang can provide a variety of performance metrics to the driver via a new 4.2-inch LCD screen mounted in between the speedometer and tachometer – something that normally requires hundreds of dollars of equipment. Driving a new Gotta Have It Green Boss 302, he tests out the acceleration timer, which can track everything from 0-60 mph times to a 1/4 mile run, the accelerometer than reads g-forces, and the braking performance meter that shows just how fast the Mustang’s brakes can pull the car down to a stop. 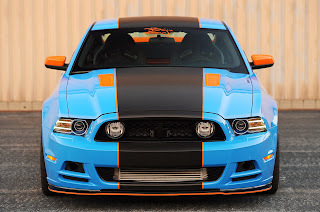 Have a look at the 2013 Mustang’s Track Apps for yourself in the video below. 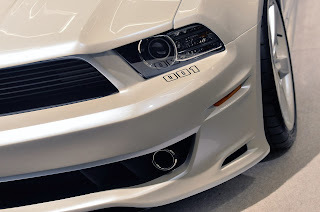 This entry was written by by MustangsDaily (Mustangs Daily) and posted here on Monday, March 19th, 2012 at 10:39 am and is filed under 2013 ford mustang, 2013 mustang, 2013 mustang track apps, track apps, Videos. This article was not written by us, rather gathered using RSS feeds listed here. We take no credit for this article. You can leave a response, or trackback from your own site.